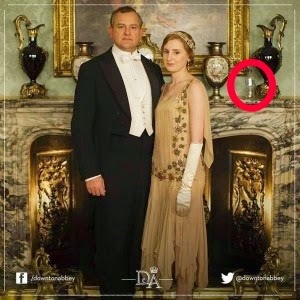 It's All Connected: My Downton Abbey Is Back! 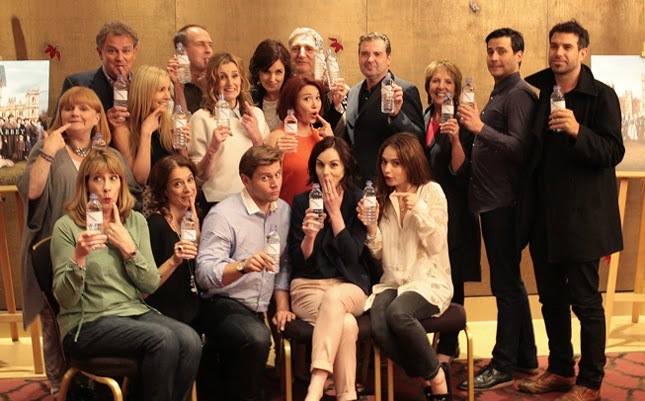 My Downton Abbey Is Back! 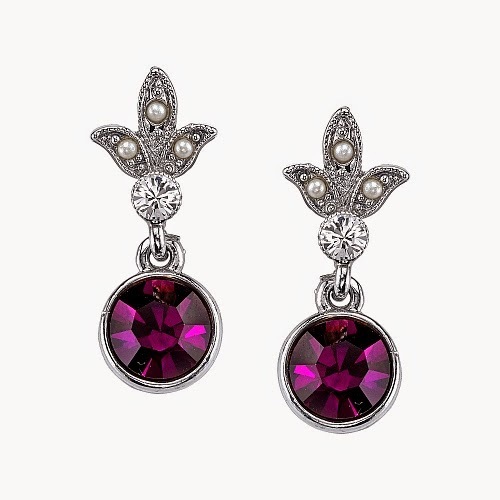 Sunday night was the long awaited Season 5 premier of Downton Abbey in North America and my friend Wendy and I were glued to the TV. I admit it! I'm addicted to that series and it was agony not to be able to catch up with all the doings, upstairs and downstairs, in the Abbey. While I was waiting for the new season, there were some minor dramas I could follow. In a shocking lack of correctness, that would have appalled Carson, a publicity shot was published that showed a plastic water bottle sitting on a mantel. Now, I'm against plastic water bottles at any time, but I'm even more against one showing up in a 1924 setting! 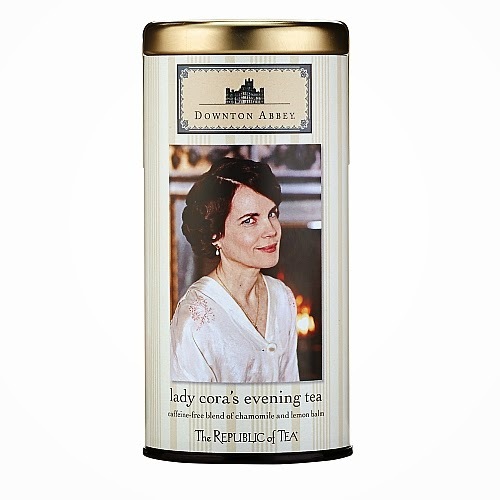 There's lots of merchandise available to keep us in the Downton spirit, too. 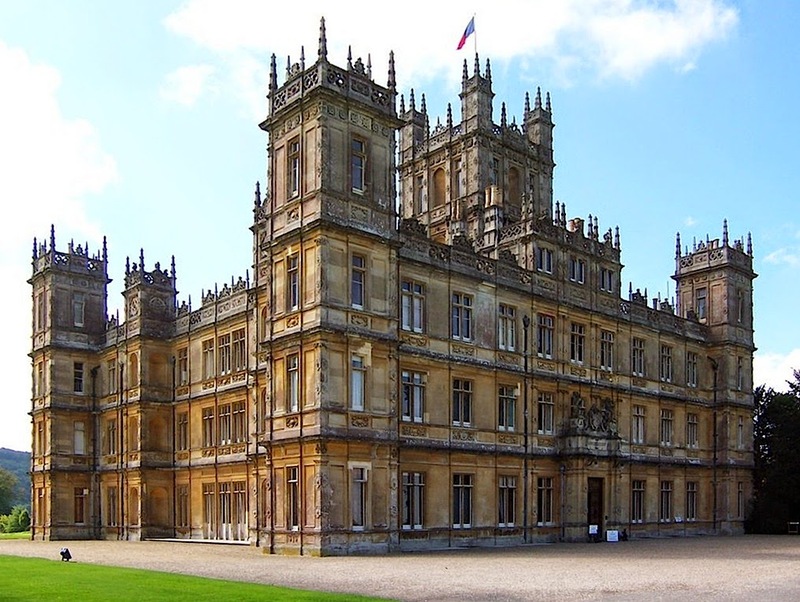 to baby onesies, aprons, snow globes of Highclere Castle, and Lady Cora's favourite night time tea. I have two Downton cookbooks on my Kindle. 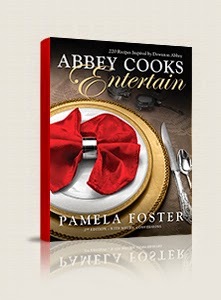 Check out the site for the author of Downton Abbey Cooks, Pamela Foster. You can check out her recipe blog here. The biggest drama of the preseason has been the rumours that this would be the last and I'm sure they could hear me cheering all the way to England when they signed the deal for a 6th season. So don't bother phoning me on Sunday nights for awhile. I'll be too busy to answer it. Someone has to keep an eye on that cheeky, radical, teacher Sarah Bunting. I dislike her intensely, can't figure out what the heck it is she's being radical about and just want her to leave that poor Irish chauffeur, turned husband of a lady, rebel barred from his home country,widower with a baby and manager of the estate, alone. Hasn't the poor lad dealt with enough in the last few years? No wonder he wants to run away to America! I'm also a little curious about how young that dog is looking, when he's supposed to have been there for more than the 12 yrs. the show covers. Those daily walks he takes with Lord Crawley must sure be great for his health! Think I'm getting over involved with this show? Nah.